Usually three to twenty flowers to a stout stem, sweet scented and very short cupped. Perianth segments (petals) rounded and often somewhat crinkled. In borders, rock gardens, under trees and shrubs and naturalized areas (some varieties are most famous and highly recommended for indoor forcing). 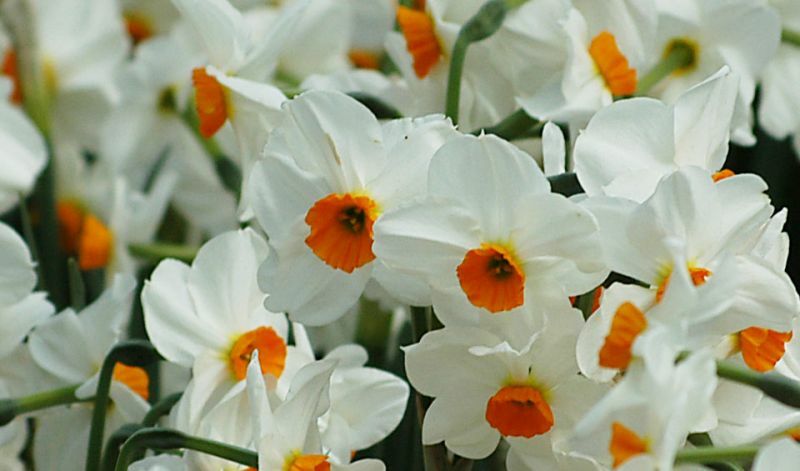 'Erlicheer' (double white with some honey yellow), 'Falconet' (bright gold, orange cup), 'Geranium' (bunchflowered white with orange cup), 'Golden Dawn' (yellow, light orange cup), 'Minnow' (ivory-white, yellow cup) and 'Scarlet Gem' (pale yellow, orange cup).